It’s a radical claim but part of the growing evidence that the low fat diet has been a disaster. Conventional wisdom has it that NAFLD is due to being diabetic and/or overweight and that the way to treat it is to follow a low fat diet. However as GP Dr David Unwin, who did the research, points out people with NAFLD have inevitably been following a low fat diet for years without it having a noticeable effect on the fat content of their liver. At the moment NAFLD is one of those Cinderella disorders – there’s no drug treatment and the dietary advice is useless so it just languishes, even though an estimated 20% of the population has it and it can be an early warning of liver failure, heart disease and diabetes. 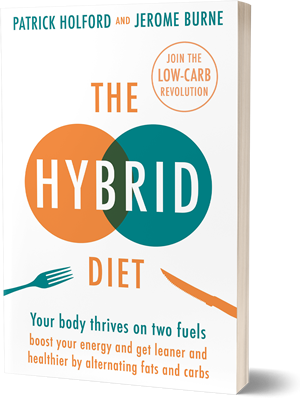 Dr Unwin made the carbs connection when he noticed that the fatty livers of diabetic patients normalised when he put them on a low carb high fat diet. Unwin has been treating diabetes by cutting carbohydrates and recording the details of the benefits for several years. For this latest study he put 69 patients on the diet for 13 months and the fat content of their liver dropped by an average of 47 per cent. Read the article for more details here. The study, published in the journal Diabesity in Practice, comes at a time when the blowback against the low carb diet is hotting up. Last month a dietitian in Australia was expelled from her professional association for refusing to tell patients to stop following a high fat diet, even though it was making them better. At the moment top South African sports nutritionists Professor Tim Noakes is being investigated for recommending in a tweet that a baby follow a low carb diet. A week ago the British Dietetic Association warned about the dangers of a low carb diet, recommended by TV doctor Rangan Chatterjee in his ground-breaking BBC three-part series ‘Doctor in the House. Contrast that with the approach Noakes himself took to his hearing in front of the Health Profession Council of South Africa. The LA Times reports that he and his legal team ‘have presented 4000 pages of research to the hearing’. An odd thing to do if you are ‘abandoning rigorous scientific methodology’. During the hearing before the Council, which is still going on, Este Vorster, described as a ‘nutrition expert’ claimed that Noakes had acted ‘unprofessionally’ and ‘was not qualified to give advice’. During cross examination by Noakes’ lawyer however, ‘she admitted she was not a dietitian and hadn’t studied the low carb high fat diet’. There also seemed little consideration of the evidence for the benefits of low carb by the administrators at Southern New South Wales health district in Australia when they issued a warning to pro-low carb dietitian Jennifer Eliot about a month ago. They told her that ‘nutritional advice to clients must not include a low carbohydrate diet’. Her response was to ask: ‘Can you imagine having to tell a client with diabetes, who has lowered his blood glucose levels, lost weight and come off all diabetes medications by reducing his carb intake, that he now has to start eating more carbs because SNSW Health says so !? As a result she was sacked. The response of the British Dietetic Association to Dr Chatterjee’s program, in which we saw him transform the lives and health of patients who had been overweight and sick for years, and who had doubtless tried the low fat diet on a number of occasions, by encouraging them to eat fresh food and keep their carb intake low, appears equally blinkered. “This advice is potentially dangerous with possible adverse side effects,” said Dr Duane Mellor PhD and registered dietitian. ‘Not only is there limited evidence around carbohydrate elimination and time-restricted eating for those with diabetes, but cutting out food groups and fasting could lead to nutrition problems including nutrient deficiencies and adversely affect their blood sugar control, particularly in individuals taking certain medications or insulin. What is striking about those who have looked at the evidence for a low carb diet and been convinced by it is how careful and through they are. Many of the original converts were swayed by Garry Taubes painstakingly detailed book ‘The Diet Delusion’ published over a decade ago. More recently Nina Teicholz’s Big Fat Surprise is also packed with references and detailed accounts of how flawed the evidence for the low fat diet is. The low fat establishment is not only unscientific in its dismissal of academics who take a rival view but they also are happy to turn a blind eye to the reports of diabetic patients themselves who have been trying out the low carb diet because of the thousands of reports that it works. Dr Mellors’ claim that it could ‘adversely affect blood sugar control of those taking medications’ is remarkably misleading. It can certainly reduce the need for medication, in which case any competent clinician will reduce the dose correspondingly. The issue of what exactly counts as evidence and whether the system we have at the moment is doing a good job is bought into sharp focus by a study involving the diabetes drug Liraglutide that came out at much the same time as Dr Unwin’s report on his 69 patients on a low carb diet. Researchers at Birmingham University had run a placebo controlled trial of Liraglutide, giving it to 14 patients for three months and found that four out of ten lost their liver fat and had other benefits such as weight loss. The drug has to be injected daily, can cause nausea and diabetes and costs 1400 pounds a year. So which has better evidence in its favour? The diet trial wasn’t placebo controlled but it ran for longer involved many more subjects, benefited a larger proportion of patients and had none of the side effects. But I suspect that the drug is well on its way to getting a licence while the response of the likes of Dr Mellor and Jaques Rousseau would be to say that the low carb trial would have to be redone with a placebo and didn’t count as good evidence. Playing by those rules doesn’t seem to be in patients’ interests. The thing that frustrates me is that many pro LCHF et al keep quoting that “science” supports this view however I struggle to find a single site list of the science so that I can see it myself. How about a site with a long list of science with URLs that we (pro, anti, medical, amateurs and sceptics) can open and read and pass on to the idiots who can’t see the light. Perhaps Dr Kendrick could contribute. My wife is a diabetic in remission. She converted nearly 2 years ago to LCHF – thanks to Prof Noakes – rapidly reduced her insulin to zero, then reduced her metformin, and lost 37kg. Her (our) health is considerably improved. Her GP refers to her (us) as his star patients. We are winners. thanks for picking up on those typos – irritating I know – only excuse is that this was rather rushed. Great article Jerome – thanks for bringing together the three incidents that have got me so mad this week, (troubles come in threes,) but I just hope all this brings some positive exposure for the health benefits of LCHF. And I can tell this was a little hastily put together LOL – Gary Taubes is Gary not Garry, and “system we have at the moment is doing a good job is bought into sharp focus” bought should be brought. Also is it me, but this didn’t make sense ‘What is striking about those who have looked at the evidence for a low fat diet and been convinced by it is how careful and through they are. Many of the original converts were swayed by Garry Taubes” did you mean low carb, and I suppose you meant thorough not through LOL. Keep up the good work and the fight alive!! Great article that hits the high points an exposes the hypocrisy of the medical and dietitian establishment. Obviously those at the top are corrupt, but i believe most in the trenches are just blindly following what they have been taught without exercising critical thinking. It seems to me also that many are starting to suspect they are wrong but are desperately trying to figure out a way to change the advice without admitting their error. This is causing real confusion for the general public. A minor quibble but I think you may have confused the title of Gary Taubes 2007 book. It was Good Calories, Bad Calories (or the Diet Delusion in the UK). “What if it’s all been a big fat lie” was a Taubes NY Times article from 2002. It staggers me that supposedly sober scientists, doctors, researchers and most of all ‘dieticians’ first line of defence of their dogma is ad hominem attack. I would be really grateful if they could offer rock solid, scientifically backed evidence that would back up their indignation in a challenge that contradicts their comfortable mind set. When that evidence is presented, then I will challenge my own perceptions. Sadly, if you want to enrage someone, often all that is required is to ask an uncomfortable question! Thanks for a great article! Is it too much to hope that the involvement of the legal profession in the case against Professor Noakes, may prove a turning point in this sad story, because they may force some rigour into the process! When I took statins, they also forced my blood sugar to reach pre-diabetic levels. I was sent to see a dietician, and as a former chemist, I was amazed to learn that sugar was bad, but complex carbohydrates were really good! Since I knew that complex carbohydrates digest into sugar, I didn’t really take any notice of this advice, and in due course I scrapped the statins because of their muscle side effects, and got rid of the problem! I sometimes think many journalists have a hard time taking on board the fact that medical science is as utterly broken as seems to be the case! TY for your anecdote. Pleased to learn you are cured. However PBA your comment is very light on substance. Without substance your remarks cannot convey rigor (rigour? ); without rigor your thoughts and words will lack the desirable levels of objectivity. Your remarks rank as more of an advertisement than an intelligent contribution to a debate of genuine public interest and concern. It has hallmarks sometimes seen in phishing leads. In the very least it reads as no more sophisticated than run-of-the-mill click-bate that is rife upon social media sites. I assume that “cutting out food groups and fasting could lead to nutrition problems including nutrient deficiencies” mentioned in the article refers to carbohydrates. Is Dr Mellor unaware that there is no such thing as an ‘essential’ carbohydrate? Reducing carbohydrates will only increase the percentage of food taken in the form of either protein or fat (assuming we rightly ignore junk / processed food). This can only lead to an increase in the supply of essential nutrients as meat is first class protein (or at least that is what is used to be called). As far as fat is concerned then I for one share no truck with the Diet Heart Hypothesis having read Dr. Malcolm Kendrick’s and many other authors demolitions of this piece of fantasy. No true advocate of low-carb would suggest that we shouldn’t eat vegetables and fruit (the latter perhaps in moderation) and the type of food which is likely to be on the plate is likely to lead to have a much more ample level of nutrition (vitamin and mineral rich) than a ‘balanced’ (?) diet including loads of carbohydrates. I also fail to see how a low carb diet is likely to adversely effect blood sugar level of patients, this has already been more than amply proved by the results that Dr. David Unwin has achieved.